Windows 7 Start menu pop out when you click windows start icon located in left bottom. If you compare Start menu of Windows 7 and Windows Vista, there isn’t much change. You can Pin / unpin a program in start menu. A program pinned to the Start Menu will always appear in the Start Menu. You can pin / unpin a program from right click options. 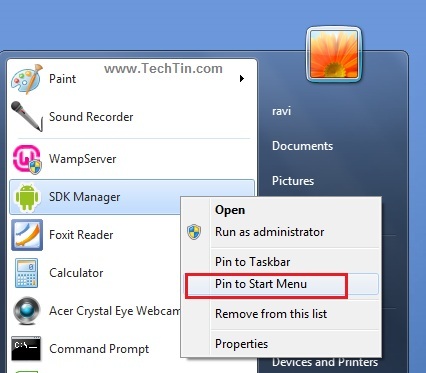 Right click the program and select pin / unpin to Start Menu. Use search box to quickly search programs / files/ folder. 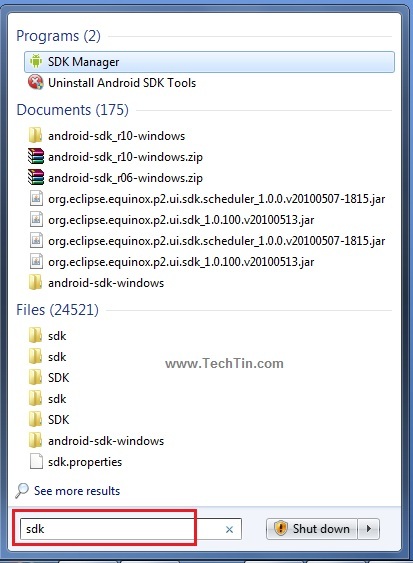 In below image I have searched SDK. Windows 7 start menu has a new feature, Jump Menu. Few programs in start menu have a arrow at right end. 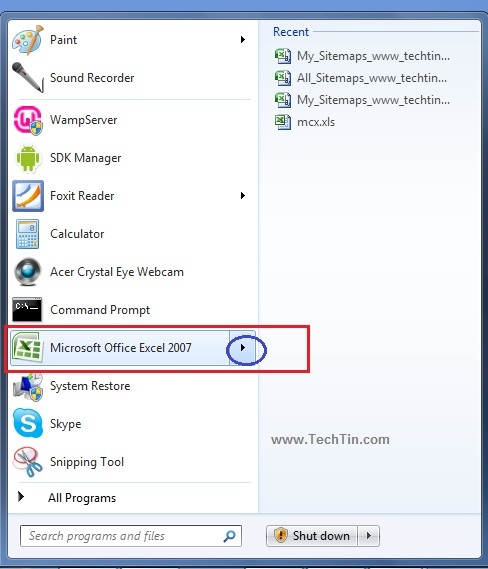 If you click this arrow it will display a list of options or recent files of that program in right pane of start menu.